Buy a T-Shirt to support our cause! 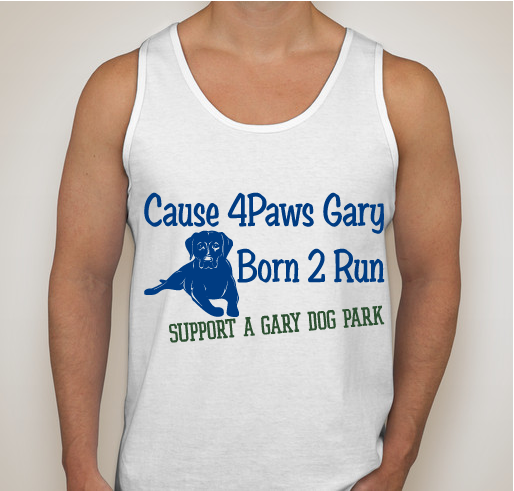 All funds raised will go directly to CAUSE 4PAWS GARY INC .
We are a non-profit animal welfare organization working to assist disadvantaged families with much needed services low cost spay/neuter/vaccination services, canine obedience, pet nutrition and responsible pet ownership workshops. In addition to developing a pet specific space in the form of a dog park to the community. 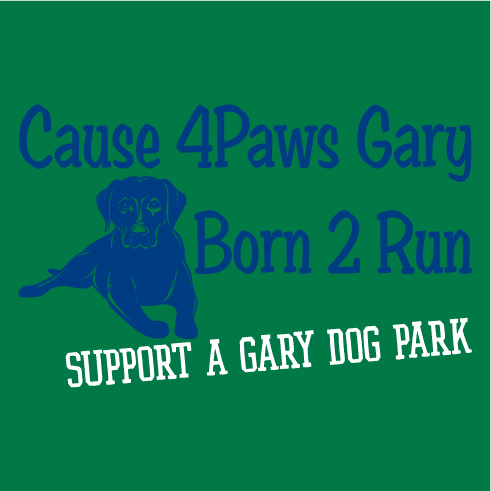 Cause 4Paws Gary, INC. is an all volunteer animal welfare organization designed to assist pet families that are in need. Our goal is to help prevent the family pet from being displaced. We believe that by creating a pet specific space in the form of a dog park, this will open an ongoing opportunity to get information into the community about the services that we offer. We need this! Something positive and for the animals! We need this in Gary! 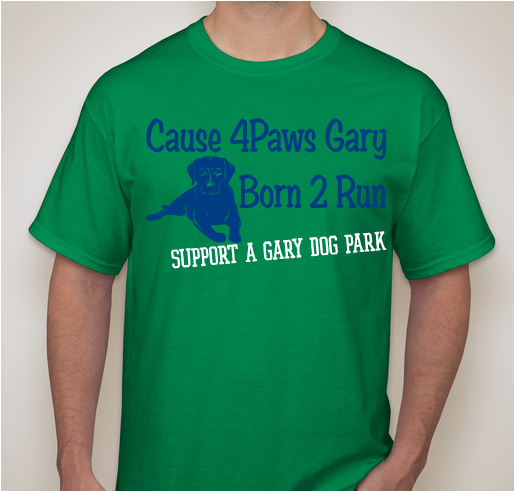 Share Why You Support "Born 2 Run T-Shirts"